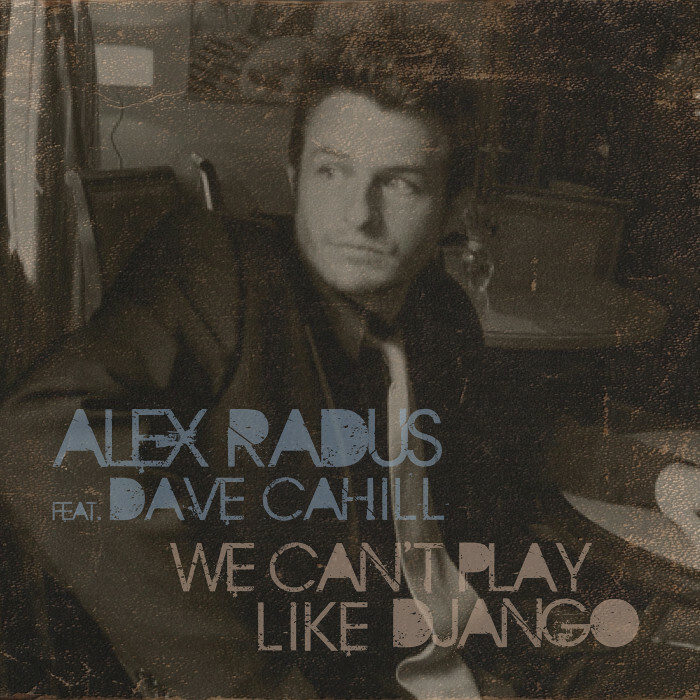 We Can’t Play Like Django (feat. Dave Cahill) single released June 27! I can’t wait for you to hear the first single from Jewels & Tinware! Please download and share, share, share! It’s available from 95+ digital stores, including CDBaby, iTunes, and pretty much everywhere else. (If you want the money to go to the artist, buy it from CDBaby. If you want it to go to Apple, well, there’s iTunes). We Can’t Play Like Django has always been a crowd favorite. It’s a retro-swing tribute to Django Reinhardt and Stephane Grappell’s famous Minor Swing. Django (as the song is usually called) is a sort of like the backstory that begins all superhero movies. It’s a “creation myth” about how Django got his incredible powers on the guitar. If you’re not familiar with Django Reinhardt, he’s arguably the best guitar player ever, and defined the quintessential sound of Gypsy Jazz. But one of the most amazing things about him is that his left hand was badly burned, leaving him with far less to work with than most guitar players. Still, he became the best. Django tells the fictional story of Django’s grandfather, who is a famous Gypsy Jazz guitar player and is the best around. Everyone says he got his abilities from either an angel or a devil. The Grandfather takes his grandson (young Django) under his wing, but he just can’t teach him how to swing and, as the song points out – “that’s the most important thing!” When the Grandfather dies, his guitar is put on the funeral pyre. But the Grandfather had promised the guitar to young Django. So Django runs up to the fire and grabs the guitar, but burns his hand badly doing so. All of a sudden, little Django could swing! I really hope you enjoy it and PLEASE – share it with everyone you know! LOVE LOVE LOVE this song!!! Can’t stop listening to it. Thanks for the backstory! Great CD Alex!! !